Grape Alliance Marketing provides a grower based export vehicle for producers who want to control the marketing and export of their own fruit. We believe in transparency, open communication channels and the combination of knowledge and expertise within the management and marketing companies to create customized solutions to fit each producer and customer�s unique environment. Our goal is to enable the producer to export high quality fruit to selected markets that has been produced and packed in an ethical, safe, healthy and responsible manner, using sustainable practices, to ensure satisfaction of the customer and maximum farm income. Grape Alliance Marketing�s main focus is table grapes. 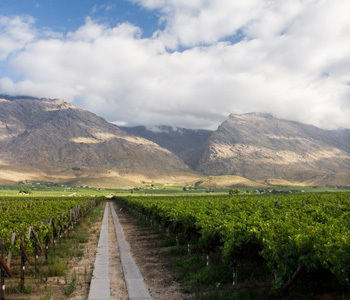 We serve producers in different South African grape regions � Hex River Valley, Clanwilliam, Trawal and the Orange River � as well as in Namibia�s Aussenkehr region. We therefore offer a continuous supply of grapes from week 44 (end of October), when Aussenkehr starts harvesting, until week 19 (end of April) when the last of the Hex River Valley�s crop is harvested.